It’s well known that some of Missouri’s earliest European settlers were French, founding cities like St. Louis, Florissant, and St. Genevieve in the eastern part of the state. But it was the Germans who settled along the Missouri River Valley and into northern Missouri. They started to arrive in the early 1800s. They had their own dialect of German, their own newspapers, and were known for their wine, which they made it what is called the Missouri Rhineland. For many, German was their first language and the language they spoke at home. That's what Terry Loehnig remembers from his childhood. He has lived in Missouri all his life. His parents were born here -- his grandparents, too. The Loehnigs were a German-speaking family and Terry remembers when German was the language of this region. But that’s an era that’s quickly fading. The city of Hermann is considered the center of German culture in Missouri, but the language once spoken throughout this area mostly lives on in rural, isolated areas. Terry and his wife run a farm outside the town of McKittrick, Mo., in Montgomery County, just north of Hermann. He grew up on a farm, too. Most of the German-speaking Missourians in this area were winemakers and farmers. That’s where he first started picking up the language in phrases like "it's time to milk the cows." Even though he’s pretty fluent now, he’s not a native speaker. Yes, Loehnig picked up some from his family, but also took German in school, and was stationed in Germany during his service in the army. The authentic German-speakers in Missouri, he said, are getting harder and harder to find. “Anybody that still speaks fairly fluent German would have to be in their 80s now, and there’s only a few left," he said. One of those people was a high school teacher of his, who died last year in his mid-90s. 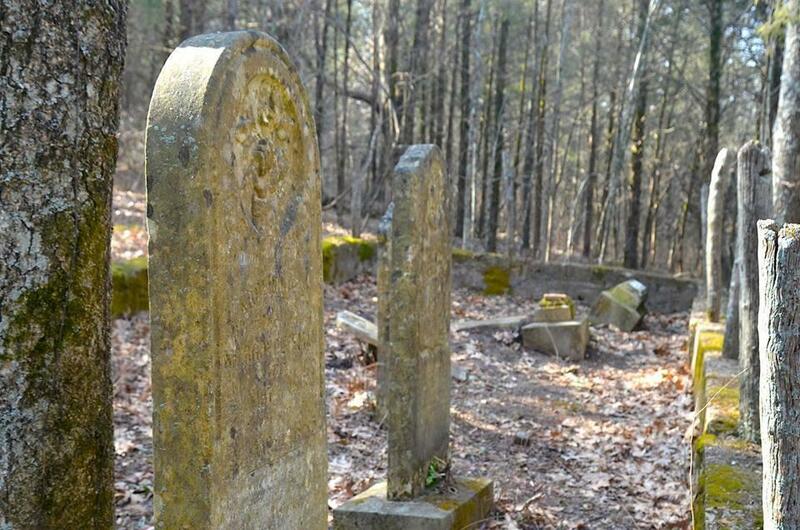 He was a German-speaking man who was born and grew up in Southern Warren County. It’s hard to find German like that in Missouri anymore. Back in the day, it wasn’t even just German families that spoke it – There was a time that, if you lived around here, you probably knew German. Loehnig says he remembers African Americans in this area speaking German as their first language. Those days are long gone. But, German culture still lives on in this area in celebrations like wurstfest. But even though the culture is celebrated, it’s largely done so in English, and local historian Mary Barile says that’s another symptom of the same cultural shift that lead to the decline of the German language. Over time, festivals like wurstfest have become more geared towards attracting tourists. It’s inevitable that they become watered down. "We know that we wear this German dress, we may not know why we wear these colors," Barile said. "We know this word and we know this food, but we don’t really know why. I hope it doesn’t go that way. That just generally tends to be, over a century or so, what happens." 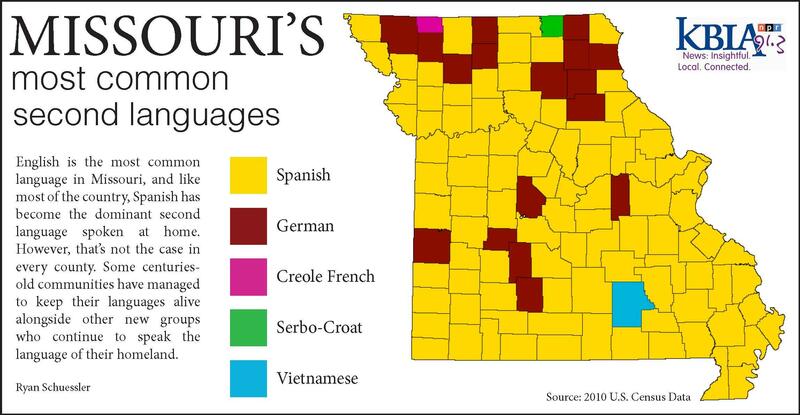 Missouri is a land of many languages. English is most common, but there are significant populations of Bosnian-speakers in St. Louis, as well as an historical Francophone community in the eastern part of the state.